PS4 Remote Play for PC is used to manage your PS4 system from your PC. With the help of this app on your PC, you will enjoy the real PS4 gaming experience while connected to your PS4 system. You will need a Sony account and the high-speed internet connection to run this application on your PC. PS4 Remote Play allows you to play PS4 games on your Windows PC. It is a fun way of playing high-end games on your device that is installed on your PS4 right now. First, download the Remote PS4 app on your computer from the link and then, install it. Then, connect a PlayStation 4 controller to a PC. You can only use this app if you have a PS4 Controller. Login on the official website of Sony. If you don’t have a login account then register for PS4. It will take few minutes to register, Wait for it and further with the same credentials. With a stable internet connection, you can access your PS4 from any place. If you have any issue with the streaming on PS4 Remote Play for PC then you can switch the quality of the video. 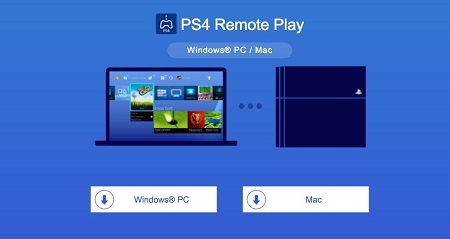 Before using the PS4 Remote Play App, you need to do the following changes to your PS4 system. First, go to the setting option. Then, open the Remote Play Settings. Now, enable the PS4 Remote Play App. Then, move towards the Settings. Open the Account Management and activate it as your Primary PS4. Again, move to settings option. Then, open the Power Saving Settings. Set the rest mode and enable the internet connection to stay connected. Lastly, turning on the PS4 from the network. You will need to pair your PS4 system and computer manually if you have not activated your PS4 system as your primary system. Connect your PC and the PS4 Console to the same Wi-FIi network and follow the instructions on the screen. Further, for more information related to PS4 Remote Play, visit our website APKPie.